Official Camaro ZL1 Top Speed: 198 MPH! Slide over to the next lane. The Camaro ZL1 Coupe has a top speed of 198 mph (318 km/h). 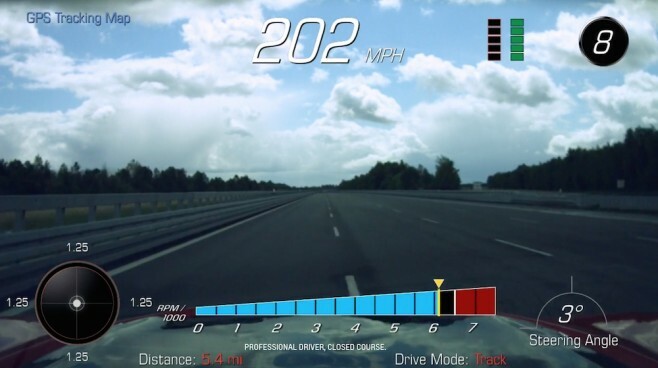 Chevrolet tested the max velocity of the ZL1 (with 10-speed automatic) on the High Speed Oval at Germany’s Automotive Testing Papenburg GmBH proving ground. Compensating for wind speed, the top speed is the average achieved from running the ZL1 in both directions on the 7.6-mile (12.3 km) loop — 202.3 mph in one direction and 193.3 mph in the other direction. Read the full details inside.